As beautiful as diamonds can be, it’s easy to forget about the ugly truth behind the gemstone industry. Conflict diamonds (sometimes called “blood diamonds”) are diamonds that are illegally sold to fund civil wars and other conflicts. In the past, conflict diamonds have directly contributed to the turmoil in Sierra Leone, Angola, Liberia, Ivory Coast, and the Democratic Republic of Congo. The issue isn’t exclusive to diamonds either; colored gemstones from 47 different countries have been linked to child labor, environmental damage, and other harmful or criminal activity. For those wanting to avoid contributing to the conflict, it is vital to gain a clearer understanding of the dilemma, as well as the available alternatives. What are conflict-free diamond rings? Conflict-free jewelry uses gemstones traded under the Kimberley Process (KP), a process developed by the United Nations to prevent conflict diamonds from entering the mainstream diamond market. Participants in KP must adhere to a certification scheme for transparency while banning trade with non-members. Currently, there are 54 participants representing 81 countries. What are sustainable engagement rings? Although conflict-free gemstones as traded under the Kimberley Process are not involved in wars or conflicts, they are not necessarily sustainable. The mining of conflict-free diamonds can pose environmental concerns by depleting natural resources and creating pollution and waste. On the other hand, sustainable engagement rings are created using eco-friendly materials and lab-grown gemstones (as opposed to mined gemstones). In addition to funding conflict, natural diamond mining has been known to cause various environmental hazards. In particular, diamond mining has been linked to the degradation of natural habitats, soil erosion, and deforestation. Diamond mining has also affected whole ecosystems, introducing malaria-like conditions to neighboring towns and villages. Compared to the diamond, moissanite is definitely the more eco-friendly solution. 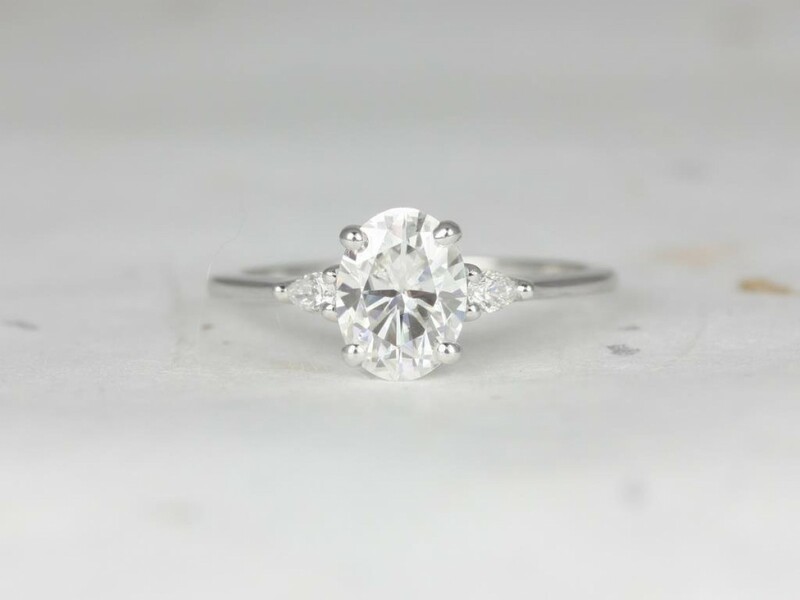 Since moissanite is lab-grown, absolutely zero mining is involved. Moissanite is grown by simulating conditions that produce the naturally-occurring silicon carbide, resulting in a gemstone that closely resembles the diamond’s toughness and brilliance. What are ethical engagement rings? Ethical engagement rings are sometimes used interchangeably to refer to conflict-free engagement rings, but the two are slightly different. The “conflict-free” certification specifically addresses gemstones involved in funding conflicts, while the “ethical” label includes conflict-free and sustainable gemstones that are produced under responsible labor laws and focus on giving back to the community. Love & Promise Jewelers sells both conflict-free gemstones and ethically-sourced rings. Each piece of jewelry is cast using recycled metals, supports local businesses, and features conflict-free diamonds and lab-created center stones such as moissanite. Looking to purchase a guilt-free engagement ring? 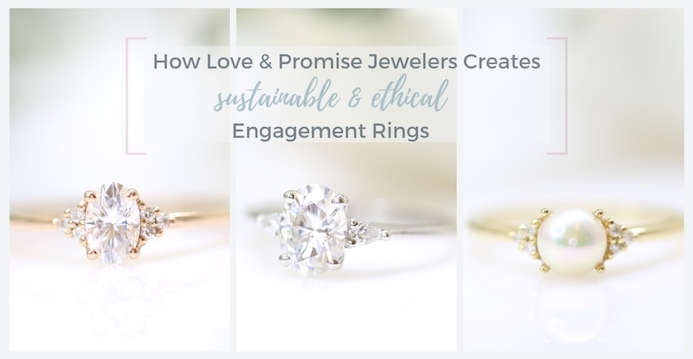 Love & Promise Jewelers offers an expansive collection of ethically-sourced engagement rings, using both sustainable materials and conflict-free diamonds. 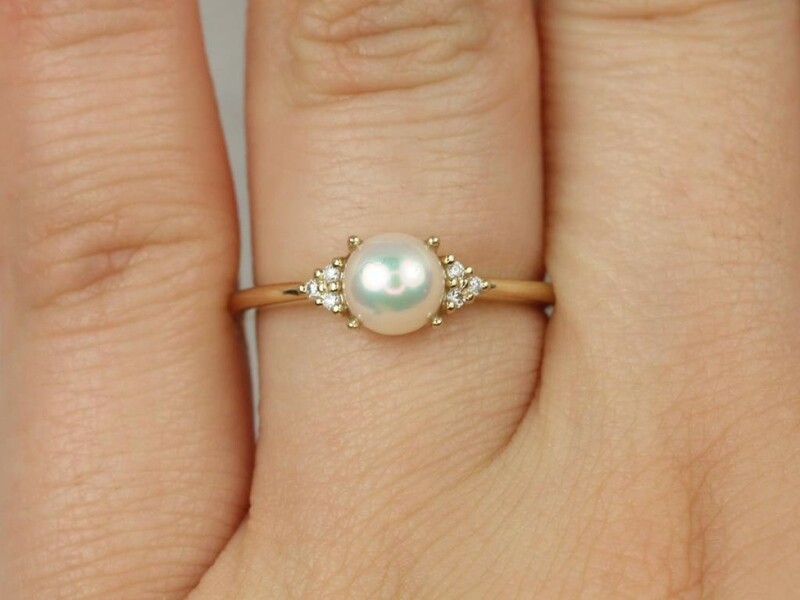 If you’re looking for a more affordable option, the Rosados Box Mio 6mm14kt Yellow Gold Pearl Sapphire Cluster 3 Stone Ring features a stunning yellow gold pearl surrounded by a cluster of white sapphires. The band itself is made with 14kt gold plated on recycled sterling silver. 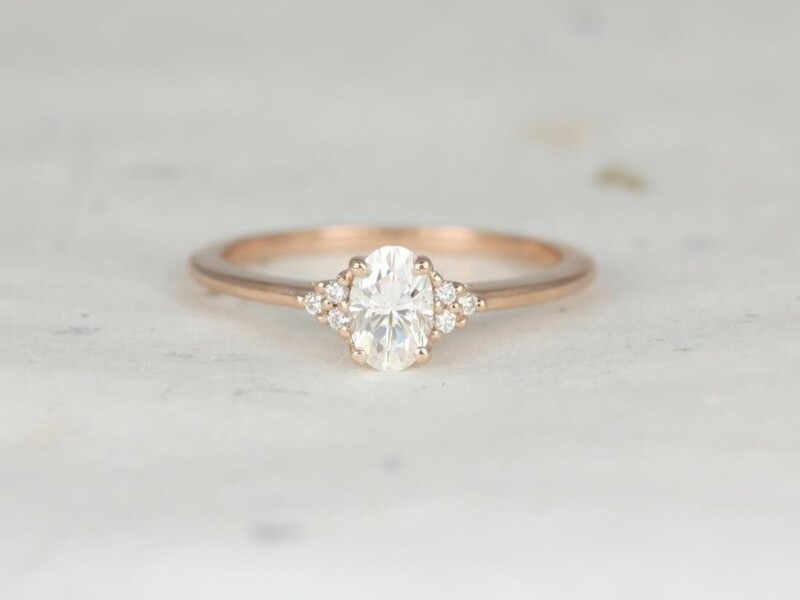 For a rose gold engagement ring, the Rosados Box Juniper 6x4mm 14kt Rose Gold Oval Forever One Moissanite Diamonds Cluster 3 Stone Engagement Ring offers a Forever One moissanite center stone. The moissanite is near colorless and captures the allure of a diamond without the associated cost. For a silver 3 stone setting, the Rosados Box Petite Emery 8x6mm 14kt White Gold Oval F1- Moissanite and Diamond Pear Engagement Ring is a wonderful choice. Made with conflict-free diamonds and a brilliant F1 Moissanite gem, the “Emery” is perfect for individuals looking for a modernized classic look. Conflict-free diamonds and irresponsible mining have severely harmed our planet. By making the decision to only purchase ethical, sustainable, and conflict-free jewelry, you’re supporting a global movement that restores balance to nature and society. As you’ll learn by exploring our collection, you can achieve an elegant and graceful look while making a conscious effort to invest in our world. Visit the Love & Promise Jewelers homepage to explore other jewelry and learn more about our sourcing philosophy.